September 6th in Theme Lists, WordPress Themes by Wordpress Jedi . 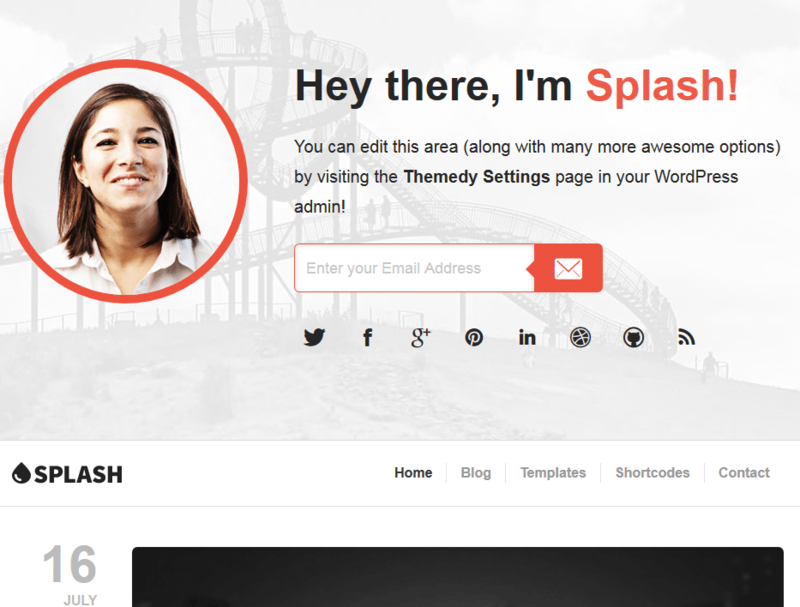 Splash: use this skin for blogging or lead generation. It is compatible with Genesis and Thesis 2. A responsive landing page is included. 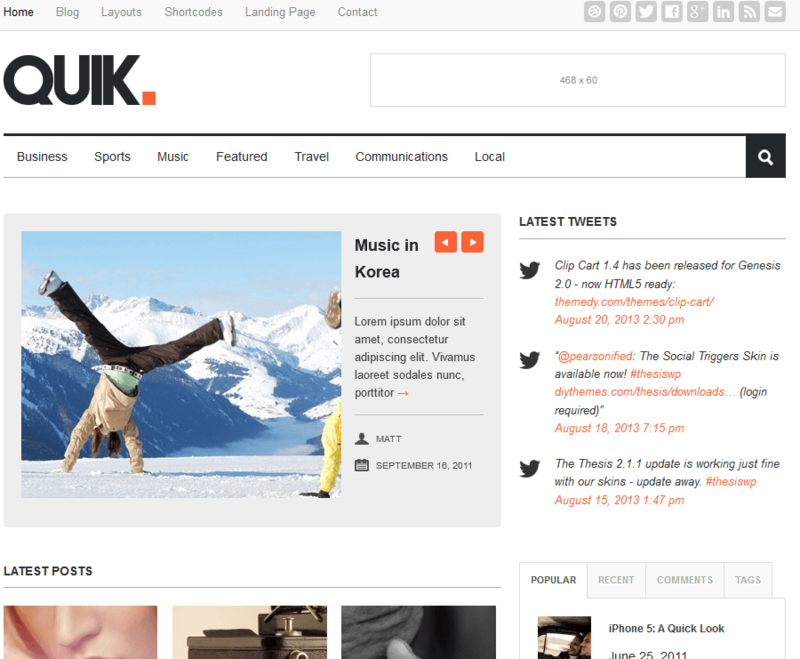 Quik: this Thesis 2 theme is designed for magazine sites but could be used for regular blogs. It is responsive and has built-in design tools, a landing page template, and 6 schemes. 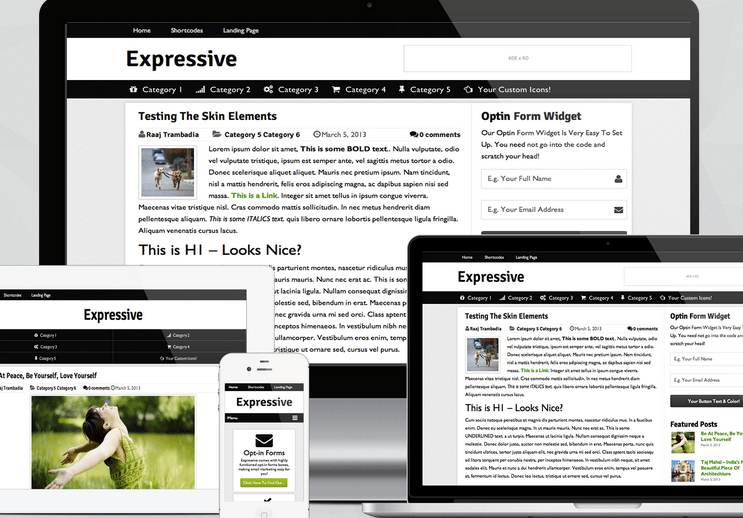 Expressive: a clean and responsive Thesis 2.x skin for bloggers. It has its own custom widgets and is easy to customize. 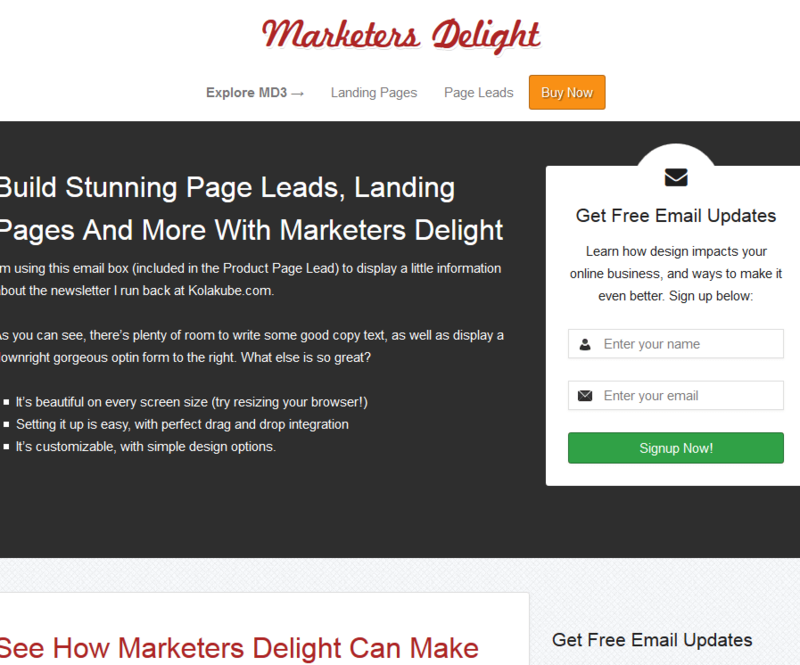 Marketers Delight: a tool for bloggers, marketers, and folks who want to build landing pages using this framework. It is optimized for conversion. 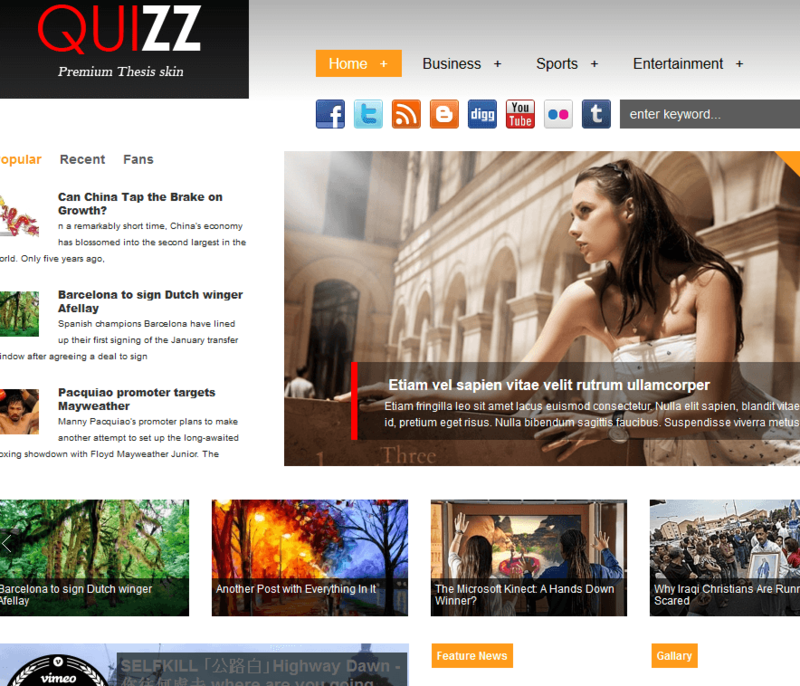 Quizz: this Thesis 2.1 skin is designed for news sites, blogs, and magazines. It has 11 custom widgets and 6 custom templates. 15 shortcodes are available. Responsive Magazine 2: we have seen similar designs for non-Thesis child themes. This one works fine for sites with tons of images. It has 6 templates and plenty of other goodies. 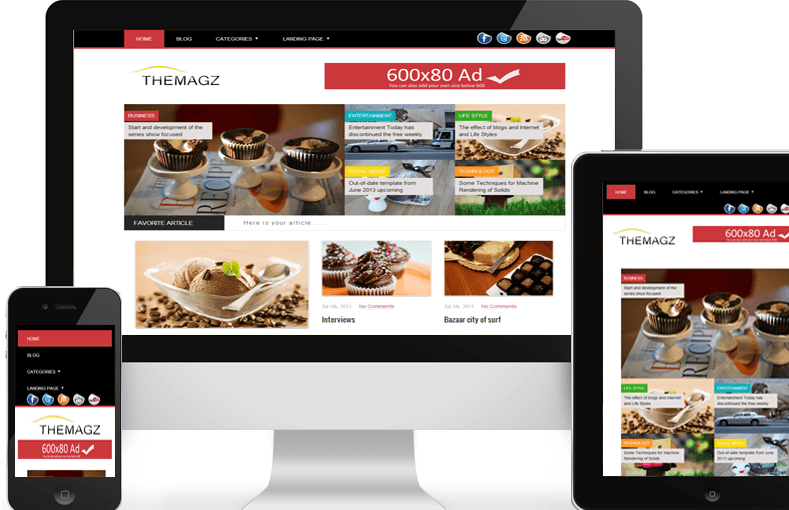 Responsive Magazine Skin: as the name suggests, this theme is for magazine sites. It has multiple page templates and opt-in boxes. Comes ready to be monetized. 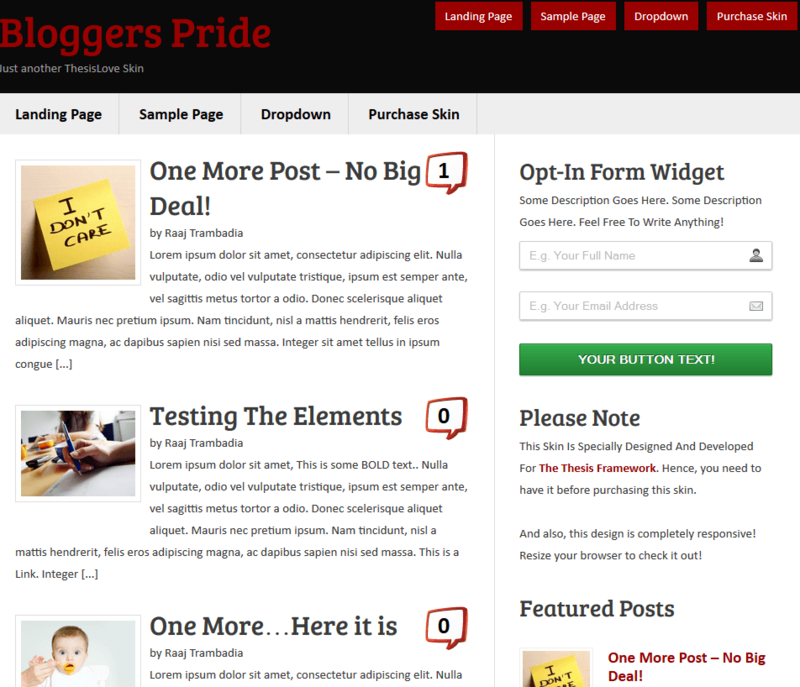 Bloggers Pride: a classic Thesis theme for bloggers. It has plenty of boxes to get you started. The design is very clean and responsive. 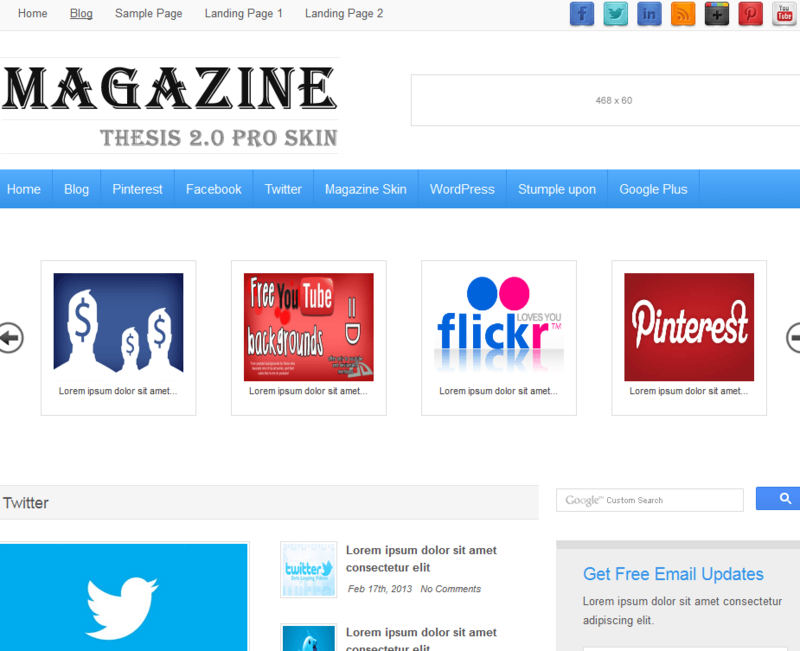 Magazine Skin: a responsive magazine skin for Thesis. It has 6 templates, 3 opt-in boxes, and a highly customizable homepage. 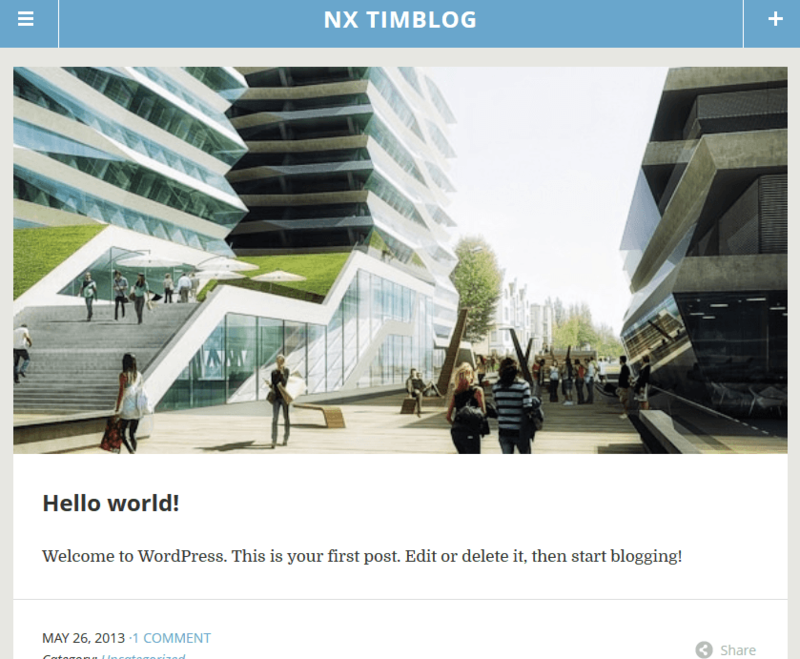 NXTimBlog: has 2 templates, 5+ boxes, and 10 widgets. Shortcodes are included to make your life easier. 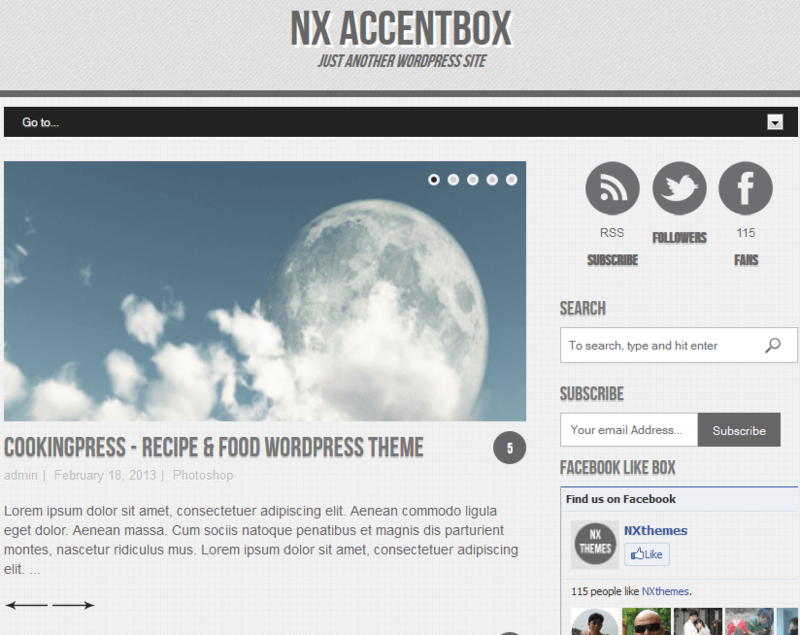 NXAccentbox: another quality Thesis 2 skin for bloggers. 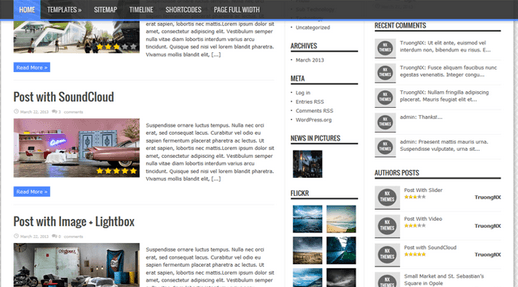 It has 12 shortcodes, 6 boxes, 12 widgets, and 3 custom templates. 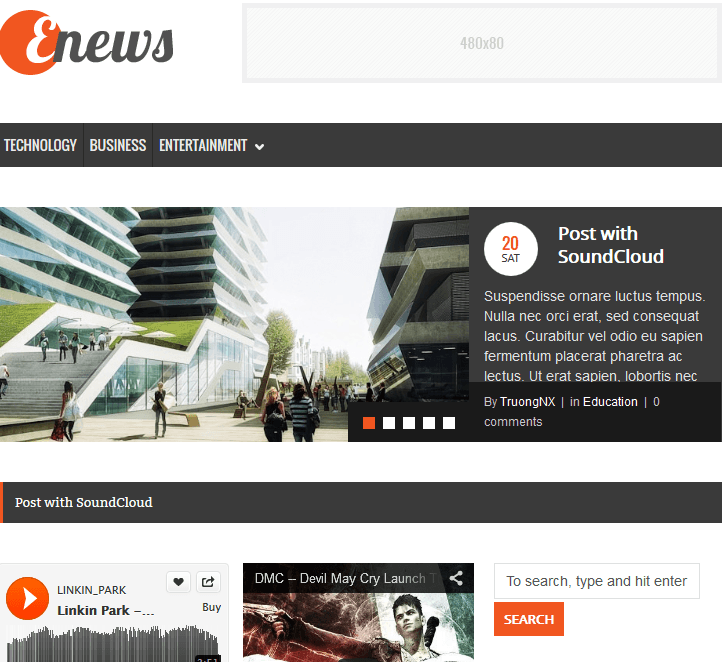 NXEnews: designed for news sites. It has a built-in review system with 14 color options, 14+ Thesis 2.x boxes, and 12 widgets. 11 shortcodes are included. NXHalong: another theme with unlimited color options, built-in review system, plenty of background images, custom templates, boxes, and widgets. Clip Cart: most people use a framework such as Thesis to start their own blog. But you could use Clip Cart to give your e-commerce site a makeover. 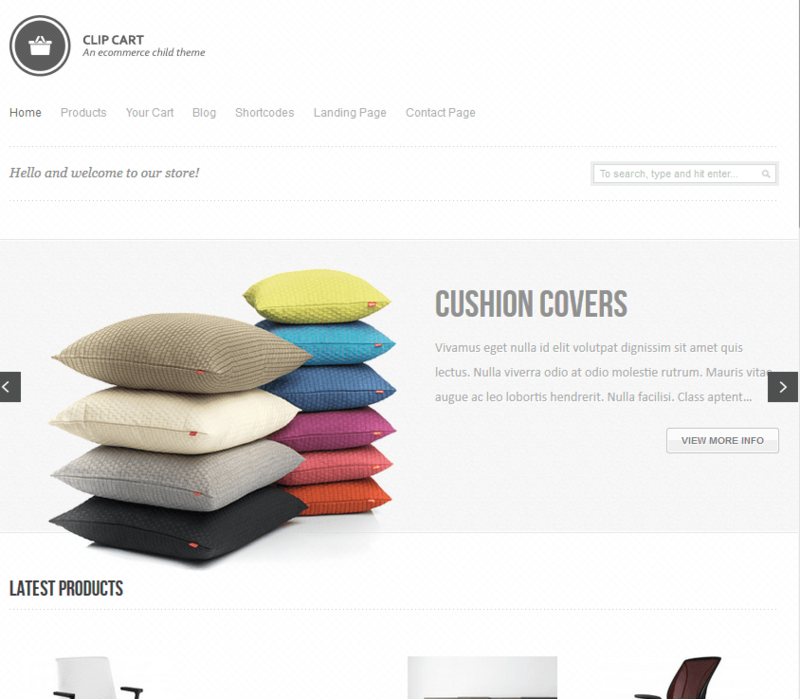 Clip Cart is compatible with Cart66 and WooCommerce. 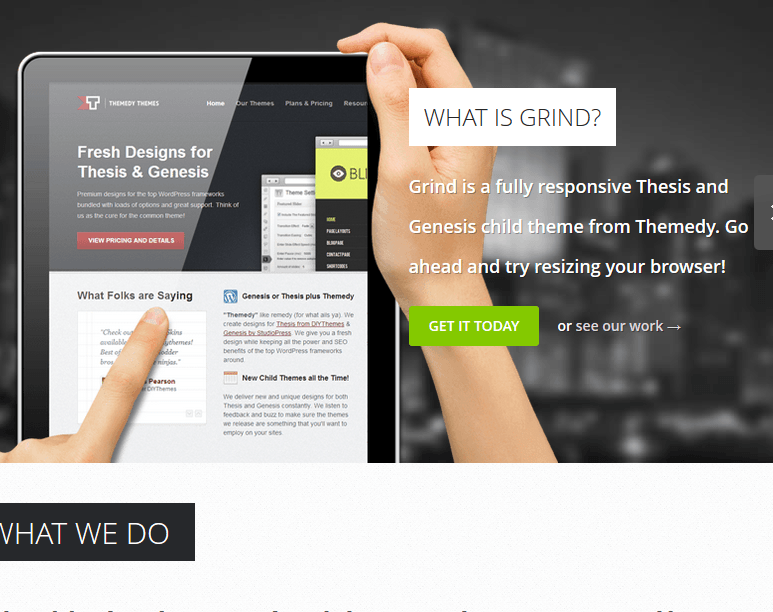 Grind: useful for businesses and personal bloggers. 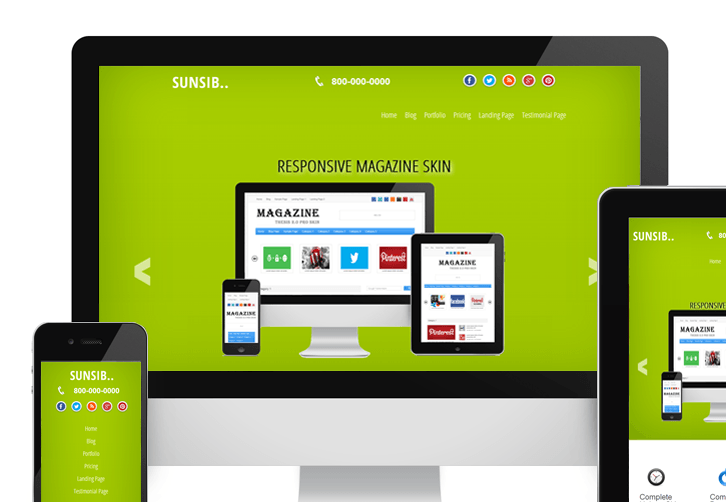 It has a fully responsive design with a customizable slider. It offers 7 different color schemes. 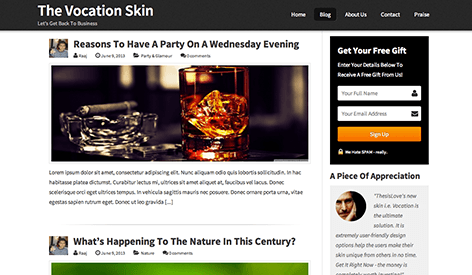 Business Skin III: fully customizable with built-in opt-in boxes for lead generation. 11 page templates are included. Business Skin 4: this template could work for corporate sites, hotels, and anything in between. It has 11 page templates with useful boxes and support for top e-mail service providers. Vocation: a responsive and clean Thesis 2.x skin with plenty of opt-in forms, advanced customization options, and business-friendly features (e.g. Testimonials boxes). Ribbon: this responsive template is built with bootstrap and has 9 templates, 16 color options, 20 background images, 17 boxes, 11 widgets, and 11 shortcodes. It is fairly easy to customize. 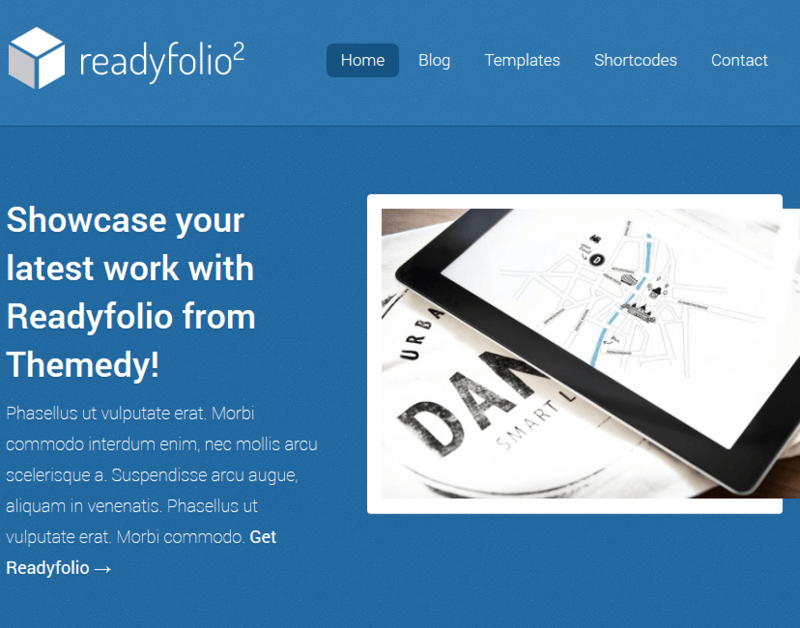 Readyfolio: has everything you need to showcase your latest works online. It is Genesis 2 and Thesis 2 friendly. 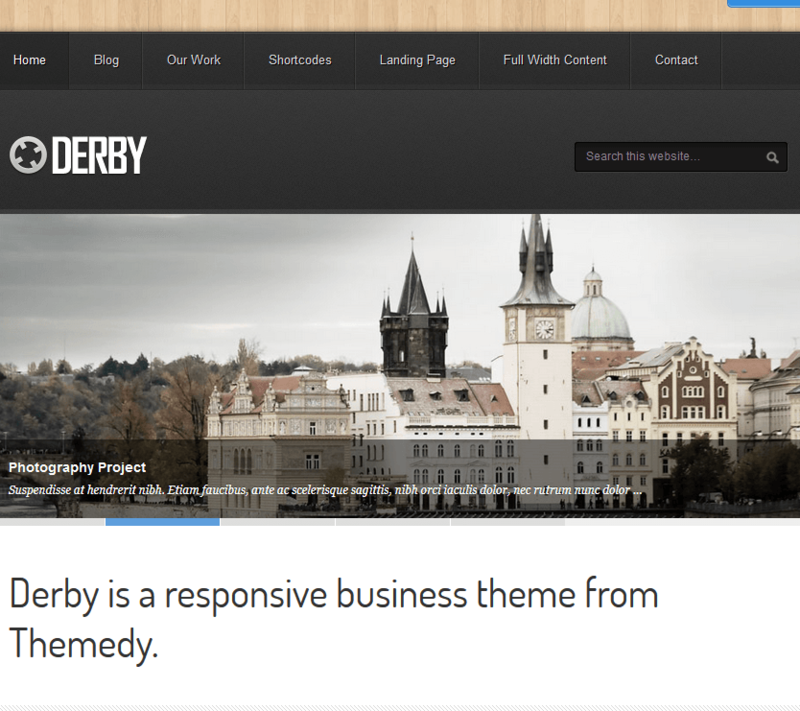 Derby: a quality business theme for Thesis and Genesis. 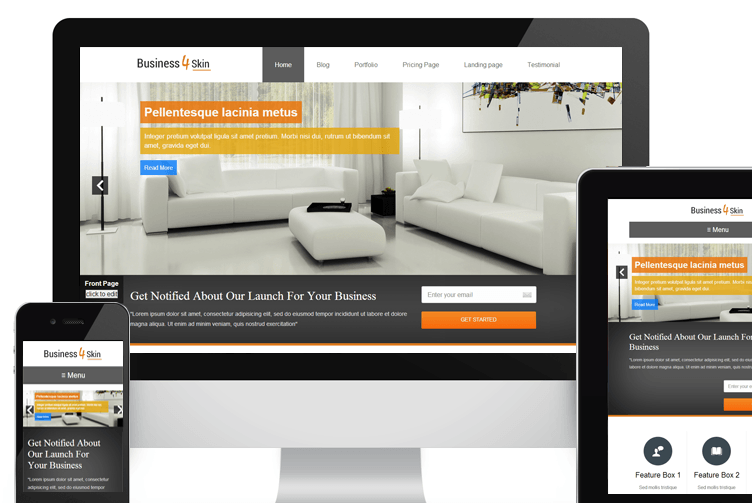 It has a responsive design and a landing page template. The portfolio functionality is built-in. 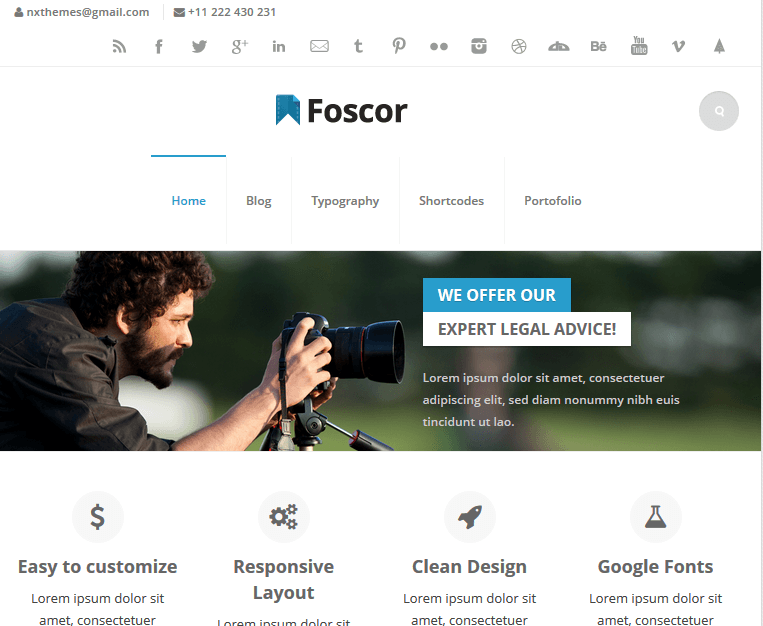 NXFoscor: use this to bring your business online or promote your past work. It is built with bootstrap. You get 12 boxes, 13 shortcodes, and 10 widgets. Thesis and Genesis are both great frameworks. We have covered plenty of attractive Genesis themes here in the past. If Thesis is your favorite framework, you may want to give the above Thesis 2.1 skins a look.